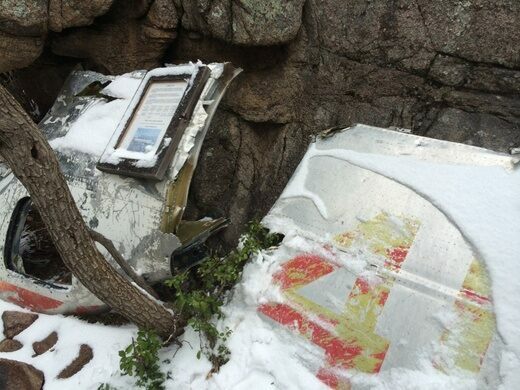 Deadly airliner crash preserved for those willing to climb and pay respects. 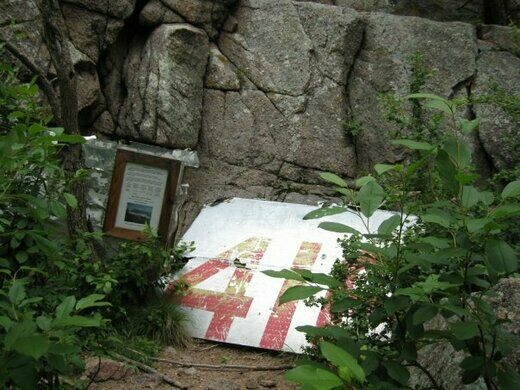 In a secluded canyon tucked into Sandia Peak above Albuquerque, New Mexico, a sign and wreckage commemorate the 1955 crash of Trans World Airlines Flight 260. The flight, a Martin 4-0-4, left Albuquerque airport on February 19 at 7:00 a.m. en route to Santa Fe. 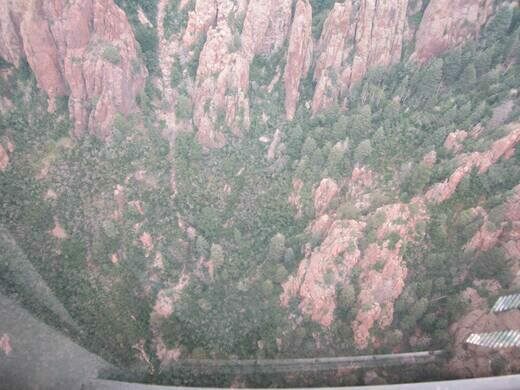 Ten minutes later, the plane crashed into Sandia Peak, killing all aboard (thirteen passengers and three crew). The National Transportation Safety Board later determined a failure of the navigational instruments as the cause of the crash. Though the bodies of the victims were removed, much of the mechanical wreckage remains at the site, as well as a sign recording the details of the disaster and the names and hometowns of the victims. The site is located in a narrow ravine near the top of the mountain. The famous Sandia Peak Tramway cable car travels above the site. The 3.5-mile trail to the site is a moderate-to-strenuous climb through the Cibola National Forest. Sections of the trail are difficult to follow, so a map or directions are recommended. A small creek flows along the trail route in some months. From Elena Gallegos Open Space in Albuquerque, take the Domingo Baca/TWA Canyon trail up the mountain. Mysterious wreckage of a small plane has been lodged in this tree since at least 1971.